The set-up of a brand-new facility, with a workforce of 60 people, and the unveiling of a more capable aircraft mark two major milestones in the development of the AWHERO, a programme that has been growing significantly in recent years. The programme was originally launched in 2012 under a joint venture with Sistemi Dinamici S.p.A which was acquired by Leonardo in 2016. Leonardo’s unmanned helicopter portfolio also includes the SW-4 Solo which like the AWHERO benefits from the Company’s systems integration expertise and airborne sensors to make its unmanned systems more competitive in the fast-growing unmanned systems market. 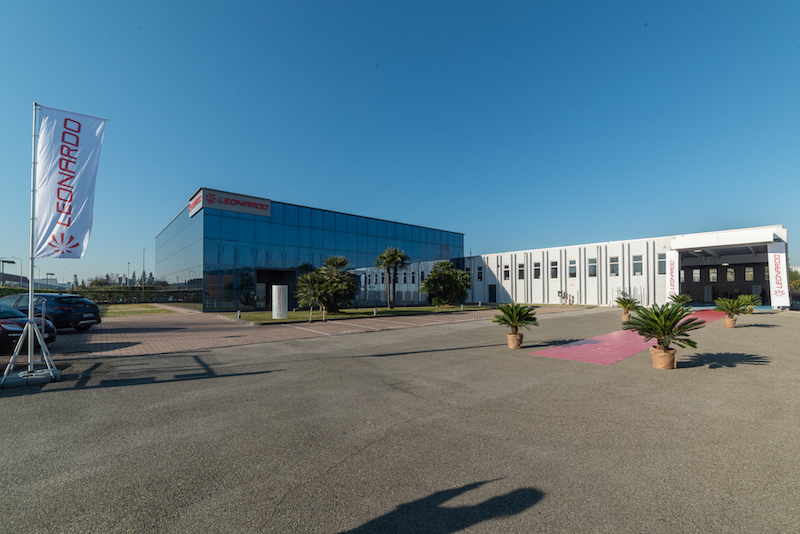 The opening of the new facility in Pisa also expands the presence of Leonardo in Tuscany, where the Company designs and manufactures a wide range of products in the defence, security and space fields with more than 1800 employees located at three facilities in Campi Bisenzio (Florence), Montevarchi (Arezzo) and Livorno. Compared to the original variant, the pre-production 200kg class aircraft unveiled today features an optimised airframe and aerodynamics, new fuel system, new composite tail rotor drive shaft and a new liquid cooled rotary engine. This aircraft performed its maiden, 10-minute flight in Nettuno, close to Rome, in December 2018. The second pre-production AWHERO is expected to join trials and take to the air in the next few months in advance of Italian military certification which is expected by the end of 2019. AWHERO is a state-of-the-art unmanned helicopter (RUAS - Rotary Unmanned Air System), which brings together Leonardo's experience in helicopters and system integration. The design of AWHERO responds to current and future market requirements for increasingly extended operational capabilities through the use of unmanned systems. Developed for land and naval operations, with maximum versatility in mind, AWHERO is the perfect solution in terms of cost and capability for tasks such as maritime and border surveillance, homeland security, pipeline and powerline monitoring, environmental monitoring, supporting search and rescue missions, disaster relief and damage assessment during natural disasters. With a maximum endurance in excess of 6 hours, the AWHERO is designed with high reliability and low operating costs, multiple redundancy of all main critical systems for maximum safety, multiple payload capacity to meet a range of missions. Payload may include a radar (such as the Leonardo Gabbiano TS UltraLight), electro-optics, Electronic Support Measures, LiDAR and advanced communication systems among others. For maritime roles the aircraft integrates a deck sensor and autopilot modes specially developed to allow fully automatic landing and take-off from vessels. As operators look at future land and maritime airborne joint manned-unmanned missions, AWHERO will be fully integrated into those scenarios. In 2019 the new AWHERO will be used for maritime surveillance capability demonstrations on ships in the framework of the OCEAN 2020 initiatives contracted to Leonardo which will lead a team of 42 prime European aerospace companies. OCEAN 2020 is a European Defence Fund strategic research programme for naval surveillance technology and maritime safety. AWHERO is also being thoroughly assessed by various potential customers worldwide. Leonardo is among the few companies in the world to possess a wide range of technologies in the UAS (Unmanned Aerial System) sector with its Falco andSky-Y fixed wing aircraft and its SW-4 Solo RUAS/OPH (Optionally Piloted) and AWHERO helicopters, as well as small drones for surveillance. Leonardo is also a partner in major European UAS programmes such as the MALE RPAS and nEUROn. Leonardo is the only European entity that can provide unmanned solutions for ISTAR missions (Intelligence, Surveillance, Target Acquisition and Reconnaissance), integrating platforms, radar and electro-optic sensors and mission and ground control systems. Leonardo’s RUAS platforms have extensively demonstrated their capabilities under Italian and UK MoD contracts and during international exercises and are able to respond to future manned-unmanned teaming capability requirements.